The Skip2Bfit Skipping Workshops are unique skipping workshops which are about motivating the children to succeed, whilst at the same time encouraging them to exercise. We work in a school throughout the day seeing the children in their class groups for sessions, with a 15 minute assembly at the end of the day. In the sessions we show children how to skip, breaking it down into 5 simple steps and then we demonstrate what you can do when you have practiced, showing them the technique that boxers learn to skip by. 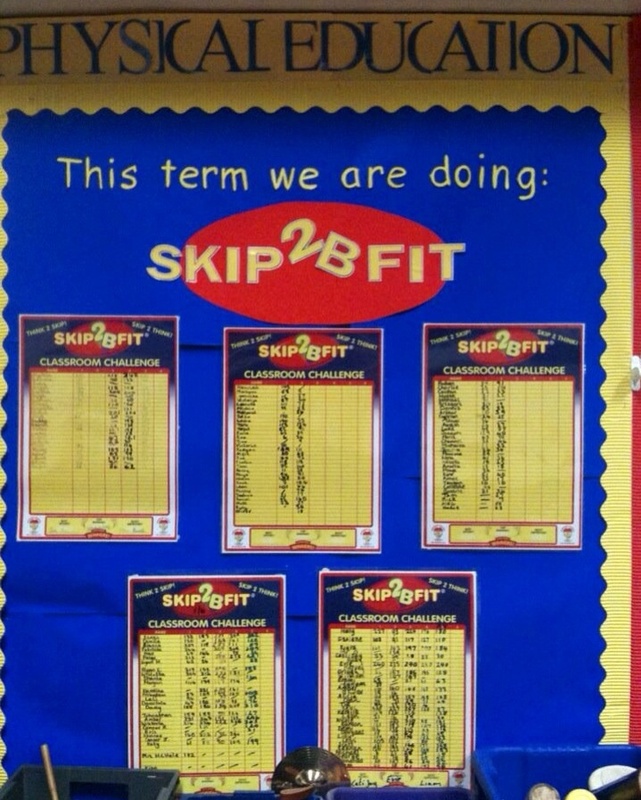 We then challenge them to the Skip2Bfit 2 minute challenge which is all done to our timed music tracks. 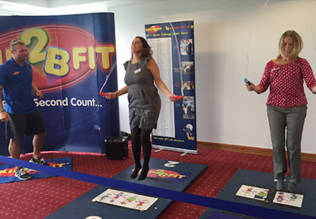 The Skip2Bfit ropes have counters on them so they count the number of skips they do. After they have skipped we ask them numeracy questions, depending on the year group, and then we challenge them to improve on their Personal Best. The children love a challenge and really try hard to beat their score and the majority do. Then we explain this is because they wanted to and if they can do that at skipping, they can do it at everything. Finally we give all the children and staff blueberries to encourage healthy eating. ’Pupils’ physical fitness is strongly promoted. The two-minute daily fitness challenge has aided pupils’ health and well-being. This contributes to good levels of attendance, which is above average.’ It goes on to say ‘Pupils are confident and proud of their achievements and their school. They contribute towards maintaining the tidy and well-organised environment by looking after their belongings and not dropping litter. They understand the importance of a healthy lifestyle and enthusiastically take part in the daily two-minute fitness challenge.’ The two minute challenges that were mentioned were the Skip2Bfit and Box2Bfit challenges introduced to the school by Skip2Bfit and Box2Bfit, which the Headteacher went on to continue in the school every day! The whole report can be seen here. We charge £380 + VAT for a workshop and an additional £280 + VAT if you wish to buy the optional kitbag which will allow you to carry on after the one day workshop. 1 day Skip2Bfit Skipping Workshop taking skipping sessions with each class. 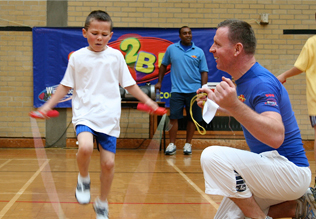 Skipping teaches the fundamentals of sport, balance, timing and footwork. We teach children how to skip and then challenge them to see how many skips they can do in two minutes. We normally see the whole school in a day so all the children can participate and improve throughout the session. 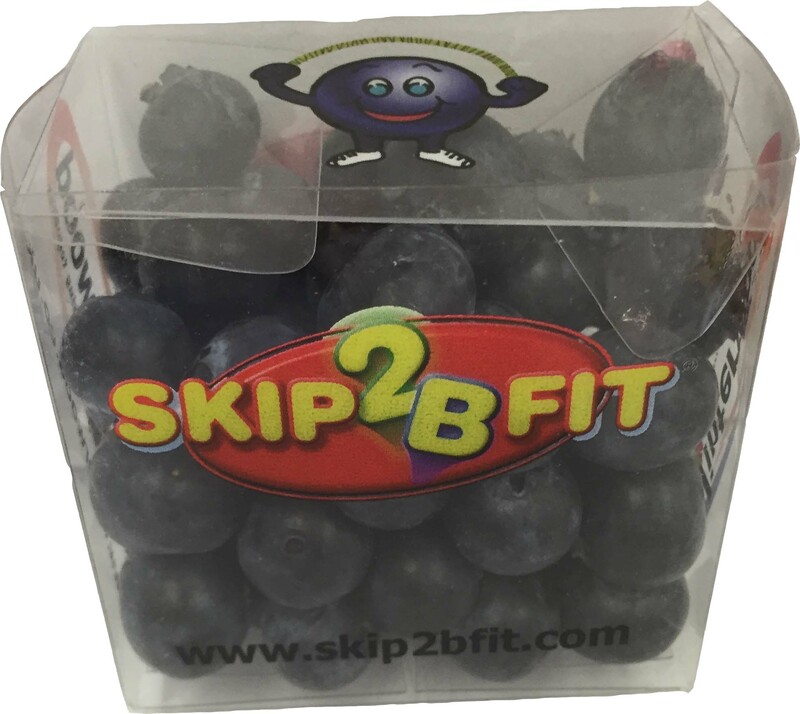 80g of fresh superfood blueberries are given to each child and all school staff in a recyclable box. Double sided colour flyer for each child on skipping, blueberries (or alternative fruit) and healthy living to enhance healthy eating. We are the only skipping workshop to provide free fruit to all the participants. 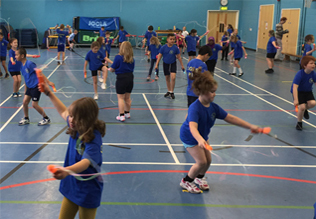 The one day event really motivates everybody to start skipping and it is easy to continue this in the school using the Skip2Bfit App, as they have done in this school in Kettering, where they set up a lunchtime skipping club after their Skip2Bfit visit. 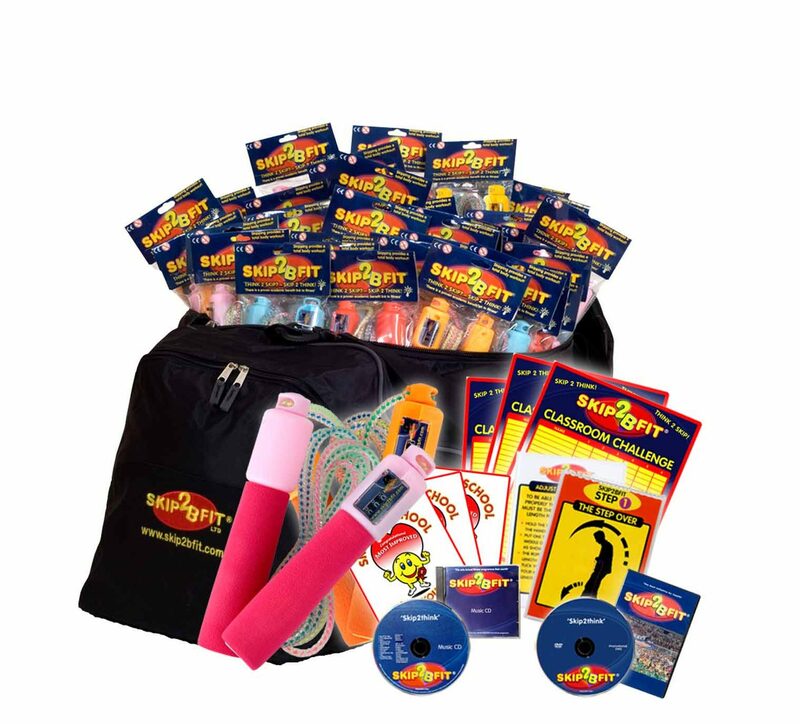 Skip2Bfit kitbags are also available to provide the school with the resources to continue with the skip2bfit programme and help to increase participation in PE helping children reach the performance levels they are capable of. This trademarked programme has successfully been working in schools since 2002 and was developed by John McCormack.